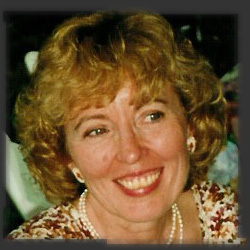 Carol S. Meyer, 59, died Thursday, April 17, 2003 at home. She left us after a courageous and eloquent battle with cancer. Carol celebrated life, touching many lives through her caring, teaching, and loving support of others. She was a wife, mother, and best friend to her family. She is survived by her husband, Art; son, Eric, and his wife Kat; daughter, Julie, and her husband, Joe; two sisters, Bonnie and Shannon; two brothers, Steve and Mark; and numerous family and friends. Carol taught elementary school, having spent the last two decades at Bellville Elementary School. She held several leadership positions within the Clear Fork Valley Teachers Association. She enjoyed gardening and was a Master Gardener for many years. Friends may call at the Ontario Home of Wappner Funeral Directors Monday, April 21, from 4-8 p.m. A service celebrating Carol's life will be held at the First Congregational Church in Mansfield at 7:00 p.m. Tuesday, April 22, conducted by Rev. Clifford D. Schutjer. A reception for family and friends will follow the service. Memorial contributions may be made to the Community Health Access Project, 445 Bowman Street, Mansfield, Ohio 44903.